One of the biggest mistakes to make when designing outdoor living spaces is to plunk things down wherever it seems easiest. These seemingly easy or convenient spaces may be exactly the wrong places to install landscape elements that you hope to incorporate into regular use. This is what we call “feature-scaping” – a practice that includes installing outdoor landscape features where it’s the least costly or the most convenient for construction. 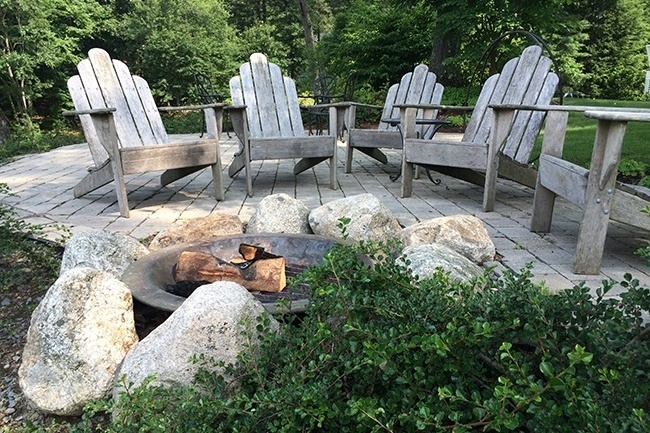 Traditional landscape companies are often guilty of feature-scaping. Without much consideration being given to how the homeowner will actually interact with this feature or space, chances are good the placement and installation will be less than satisfactory in the long run and consequently won’t get used much. 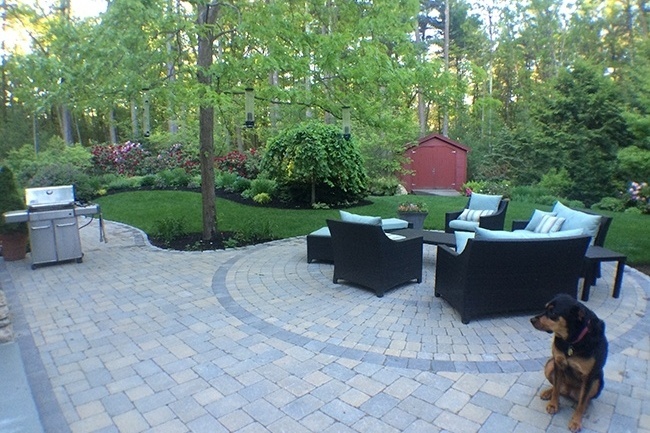 Many homeowners are eager to add outdoor space to their property that integrates nicely with their home. Often this is a great way to expand a home and open up additional living space that flows easily from indoors to outdoors. So what’s the best way to integrate indoor and outdoor spaces so they work well together and are both attractive and functional? Start by thinking inside out. This will provide clues about how to integrate the two. For almost two centuries the “lawn” has been a standard fixture in the American Landscape. Today everyone simply expects a lawn to be part of their landscape, but the interesting thing about them is they are neither native nor sustainable. If you’ve ever struggled with maintaining a lawn, you know first-hand what a resource drain they can be. 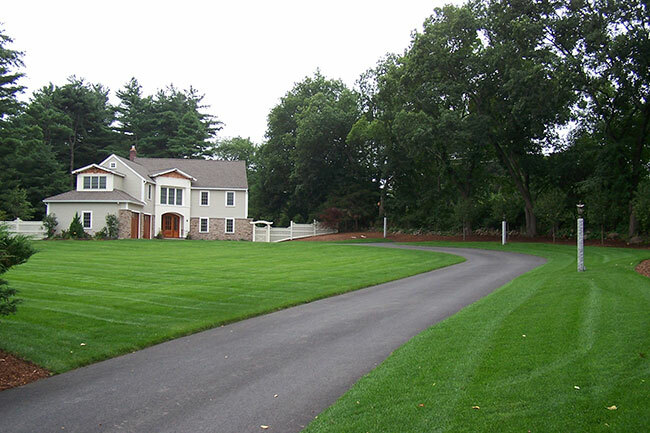 Often lawns are a kneejerk reaction to empty space – if contractors or homeowners don’t know what to do with an open piece of ground, they make it a lawn. So how can you design a lawn space into your landscape without all the negative aspects? 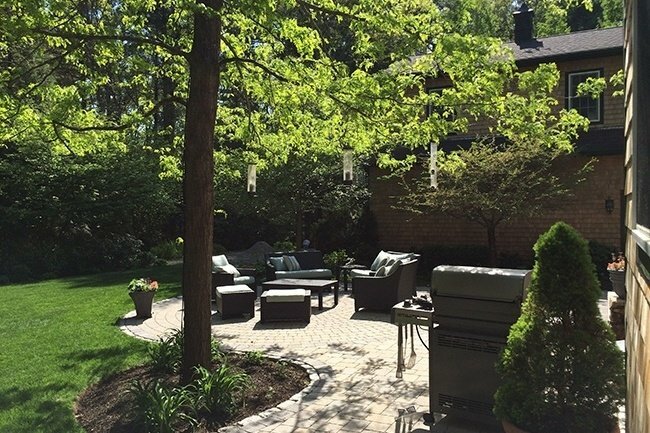 How do I design an outdoor space that is both beautiful and functional? If you’re looking to create an outdoor space suitable for entertaining and relaxation, you should start by asking yourself two important questions. While these two questions may seem simple at first and easy to answer, often the real answers lie a little deeper and require some amount of reflection and effort.